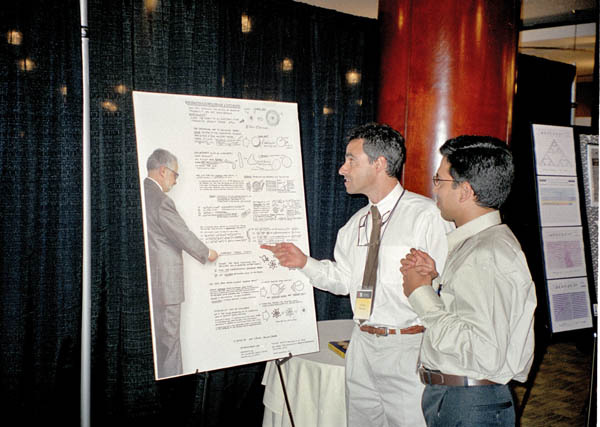 Charles Matthews makes a point at my NKS2003 poster to Rama Kishan Malladi. 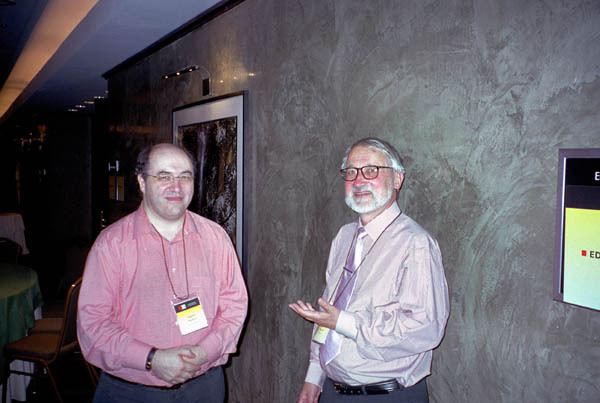 I point out something to Steven Wolfram. 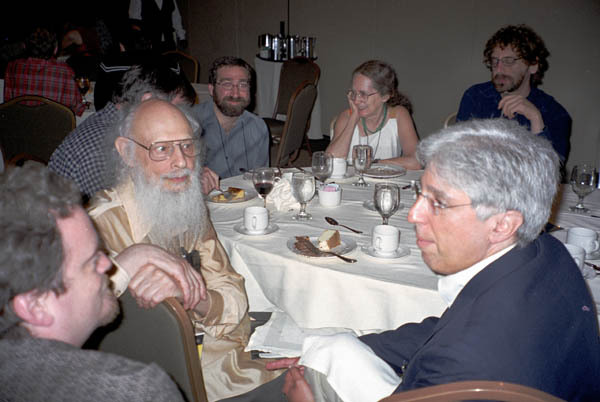 Michael Jaliman (right) in discussion with Ray Solomonoff. 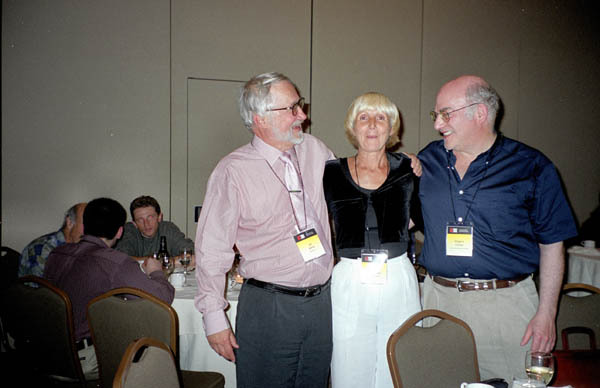 Greg Chaitin and I have a common interest (Lilia Kakaradova).